I'm sure you know what i'm talking about - "SWINE FLU". Well, everyday in the newspapers and media you have something about Swine Flu, and unfortunately the news of a casualty from swine flu is inevitable in everyday's news. But is Swine Flu really this deadly? Swine flu has a cure in the form of Tamiflu, which has cured a huge chunk of the affected population. Moreover if the cases of death's are seen, most of them have already had other health issues, hence swine flu has only added to this. The recent case of a 26-year old teacher in Bengaluru who died owing to being affected with swine flu, had an acute case of diabetes. Well when it is seen that this Flu is like any other flu, then why all this panic? Like always the media should be given credit for creating this frenzy (just another TRP increasing mechanism). But the mechanism has not only increased TRP, but also increased the sales of protective masks. The marketer too has a role to play in this, with the fact that a protective mask called the N95 is the so-called branded protective mask (Phew :) )! Economics has its say too - Remember the supply-demand curve. A normal mask costing INR 20 is being sold at increased price of INR 100 - INR 150! When the demand exceeds the supply the price keeps rising till a point where the supply and demand meet. Now picture this? Every winter when there is a climatic change and the cooler temperatures set in, normal viruses are prevalent everywhere and get into everyone. A few who get affected with viral fever are those whose immune system gives way! 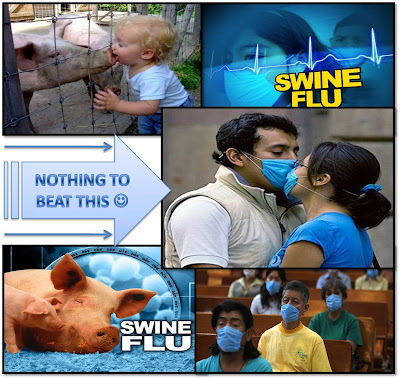 Then shouldn't swine flu behave in the same manner being a virus itself? 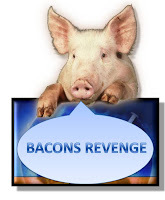 Moreover in America, pigs get swine flu every year during a particular time after which a few die and the rest survive, then how on earth did a human being, only get affected this year?? Unless done on purpose! (Or may be the virus consulted an astrologer and choose the right time to start affecting human beings ;) lol... ). The more dangerous issue in question is that of Dengue fever which seems to have started flirting with Bengaluru having two casualties. This unlike Swine Flu has no guaranteed medical treatment. There are no specialised drugs. So stay healthy and stay happy people!